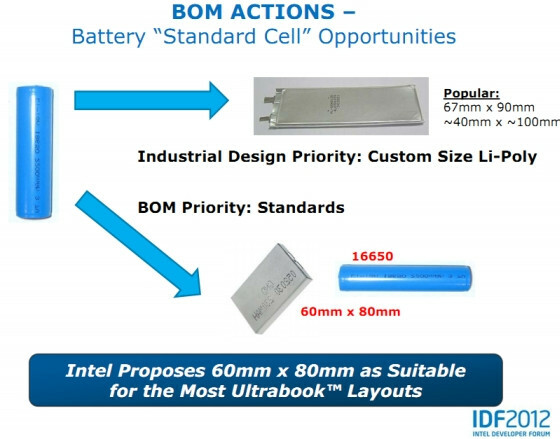 Intel has had an Ultrabook reference design for a while now, and they’ve always had certain standards for their Ultrabooks. Now after announcing 75 new Ultrabooks in the coming months, Intel is also recommending a uniform battery cell for their notebooks. At the Intel Developer Forum in Beijing, Intel proposed a standard battery solution for all future Ultrabooks. 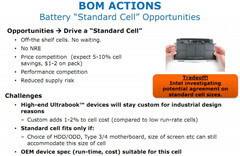 The suggested battery, which is intended to reduce costs, would be 60mm X 80mm and is based on 16mm cells rather than the commonly used 18mm cells. 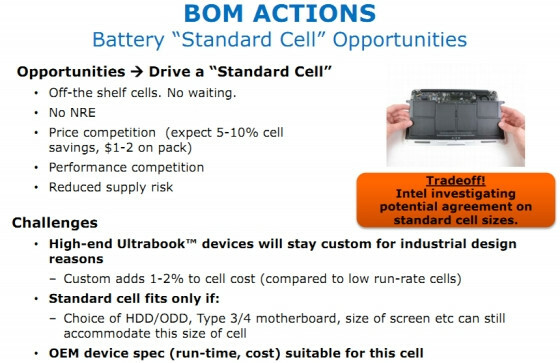 According to Intel, the design would supposedly result in 5-10% savings per cell, while reducing non-recurring engineering (NRE) costs along with wait times as the batteries would be readily available off-the shelf. In addition, customers would also benefit from the move, seeing as a standard battery should be easier to replace and less expensive than a unique battery. For the time being, the design is nothing more than a suggestion by Intel and is not mandatory for Ultrabooks. 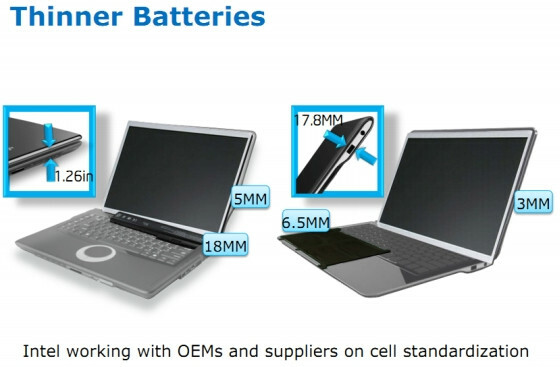 However, the company does plan on exploring the idea with multiple OEMs, and if things go well, we could see a uniform Ultrabook battery in the near future.